The TrueLogic Learning Center houses a learning and development team which specializes in Training and Instructional Design. All our materials were homegrown and tailored to serve participants of varying skill levels and aptitude. Skill Expertise Certifications for learning-intensive courses are now available, coupled with laboratory-type trainings designed for role-specific tasks. Our Learning Center has facilitated learning sessions designed for up and cross skilling. On-Page Optimization, Keyword Research, and CRM trainings are some of the recent certification training some of our own employees completed. The Skill Expertise Certifications for On-Page Optimization and Keyword Research are both at a 5-day duration, using a blended learning approach, which is highly focused on experiential learning. We give participants workbooks, certificates, and pins for a full learning experience. We published user manuals for TrueLogic’s CRM, a robust centralized office system, to keep track of projects, campaigns and clients. We authored documentation on its usage and data analysis for varying levels of accesses. The release of the manuals were complemented by supplementary training which takes the participants through a tour focused on the tool’s ease of use and smart capabilities. Trainings on introduction to Search Engine Optimization, Google’s Algorithm Updates, and SEO Strategies are coming soon. 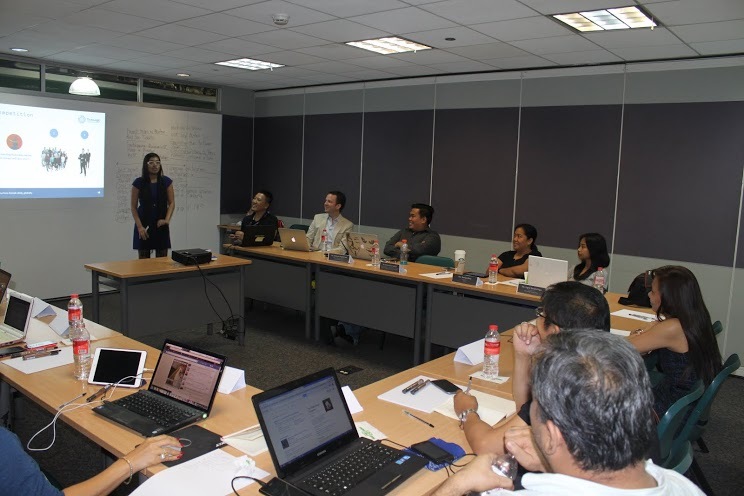 We opened our first Keyword Research Workshop to the public on April 30, 2014. Industry leaders were invited to join the one-day event for an immersive discussion on keyword research basics and tools. All participants shared their industry expertise and contributed in the workshop activities revolving around the end-to-end process, from inception, to business analysis, to performing a full and thorough report. We gave out exclusive proprietary starter kits consisting of templates and guidelines utilized in website audit, keyword research, and SEO introductory conversations to all workshop attendees. For inquiries on the TrueLogic’s training offerings, send an email to INFO@TRUELOGIC.COM.PH or call +6328563786.